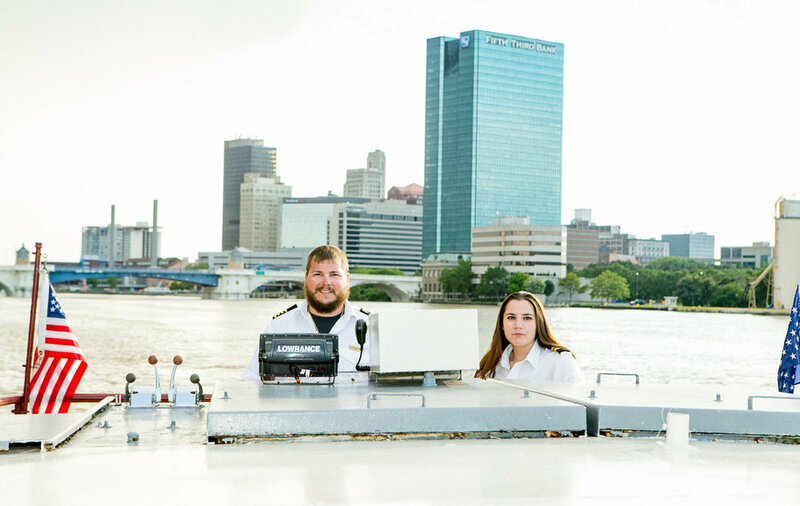 J&M Cruise Lines are the operators of The Sandpiper, Water Street Taxi + Tours, and manage the docks at "The Docks" (restaurants) in Toledo, Ohio. The Sandpiper is a 100-passenger cruise vessel located on the Maumee River in Toledo, Ohio. The boat is available for private and public rides from May through October. The Sandpiper was built in 1984 in Maumee, Ohio. She has spent her entire career plying the waters of the Maumee River, however she has paid a visit to Monroe, Michigan, and many Detroit River locations. Constructed of welded steel , The Sandpiper is inspected annually by the U.S. Coast Guard. Water Taxis run from The Sandpiper dock to The Docks Restaurants for lunch, dinner/desert, and special events. Our 2019 schedule is coming soon. We also offer private tours. Contact us for details. J&M Cruise Lines is managing the docks at "The Docks" (restaurants) in Toledo. To learn more, call us: (419) 537-1212. Join our list for cruise news and special event announcements. Thank you for joining our list. You'll be the first to know of special events and cruises! THE SANDPIPER IS OPERATED BY J&M CRUISE LINES. © J&M CRUISE LINES. ALL RIGHTS RESERVED.